The most popular cryptocurrency Bitcoin's market capitalization slid drastically to around $106 Billion against $139 billion a day before when the price had closed near $7,000. Bitcoin prices plunge drastically on Tuesday as it fell over 23% to trade near $6,000 on most cryptocurrency exchanges worldwide. The market capitalization of bitcoin also slid drastically to around $106 Billion against $139 billion a day before when the price had closed near $7,000. A week ago, the bitcoin price closed at $11,300 when the market cap was $190 Billion. 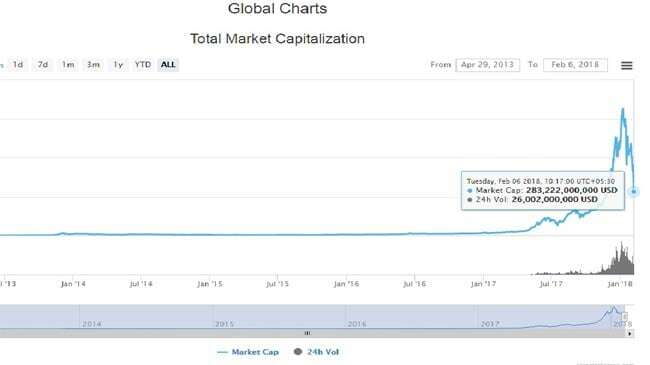 Two weeks ago, the bitcoin price was $11,377, that time the market capitalization of bitcoin was $184 billion, 73% higher than today's market cap. A month ago, the bitcoin had closed at $16,477, taking the market capitalization of bitcoin to $294 billion, 177% higher than today's market cap. When clampdown by Bank of America, JP Morgan and Citi Bank wasn't enough, Lloyds also joined the league of banks that prevented its customers from buying bitcoins via credit cards. This was done in wake of the massive volatility of cryptocurrency markets. British bank Lloyds Banking Group said on Sunday that it had banned its customers from using credit cards to buy the famous digital coins bitcoins. 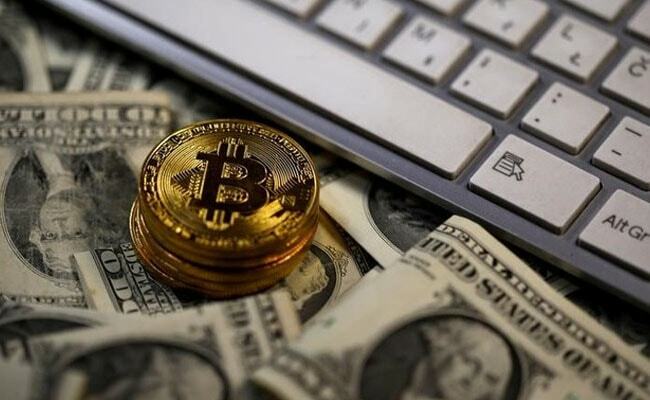 From $19,900 the price it attained on December 17, the bitcoin plunged to near $6,000 on Tuesday. In America's senate, the lawmakers on Tuesday are set to probe as to how the regulators can prevent investors from currency fluctuations and loss. Besides, there is a lot of regulatory pressure from India's regulators. Both Reserve Bank of India and Finance minister have repeatedly issued warnings emphasizing that bitcoins are not legal tender. Even on the Budget Day, Finance Minister Arun Jaitley had reiterated the government's stand.